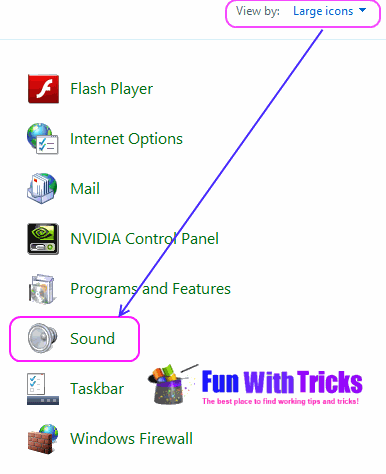 Home » Windows 8 Tricks » How to change Log Off and Log On sounds in Windows 8? 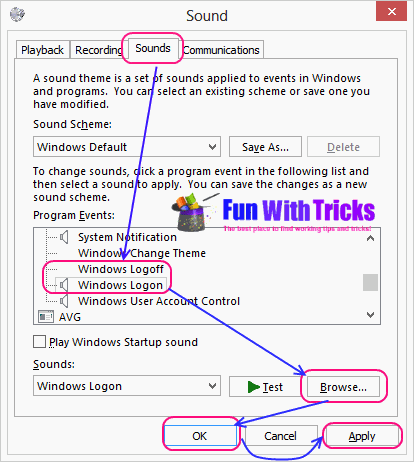 How to change Log Off and Log On sounds in Windows 8? Windows 8.1 is the latest operating system from Microsoft. They have added as well as removed some of the features which were present in earlier versions. No one can tell why these features were removed when they are working perfectly. One example is changing sounds while Logging on and off the system. This feature was present on Windows 7 and earlier versions but are now hidden from latest versions. 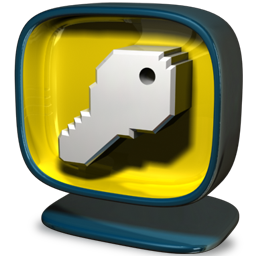 Today I will show you how to change Log Off and Log On sounds using registry key hack. 1. 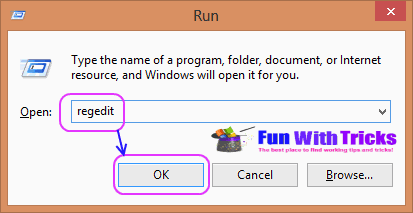 Press "Windows+ R" keys to open Run box. Type "regedit" and hit Enter. 2. Navigate to the hierarchy "HKEY_CURRENT_USER/AppEvents/EventLables". Select "WindowsLogoff". 3. Double click on "ExcludeFromCPL" from right pane and set the value from 1 to 0. 4. Do the same for "WindowsLogon" registery key. 5. Open "Control Panel" from start menu. 6. Switch to "Large icons". 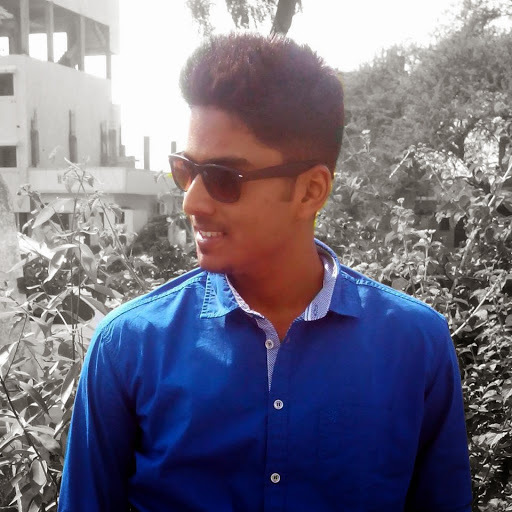 Click on "Sound". 7. Switch to third tab "Sounds". You will get list of program events, scroll down until you get "Windows Logoff" and "Windows Logon". 8. Browse any .wav file for both of them. Click on "Ok" and "Apply". 9. Done, now check whether it's working or not.